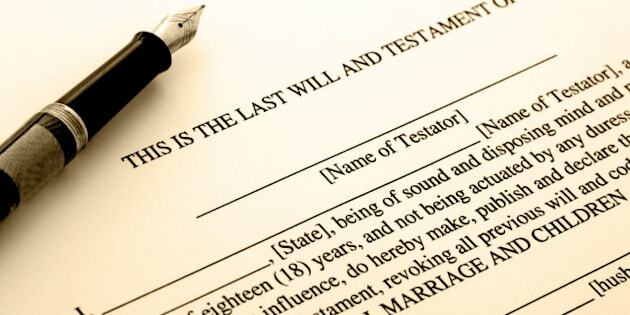 When a person is an executor of another's estate, it is a lot of hard work. The task often puts the individual in an unpleasant position of conflict. In order to remunerate these individuals for the risks and efforts that they have undertaken, attorneys, executors and trustees may claim compensation for their work out of the assets which they administer. There are a number of situations where an individual is called upon to take responsibility for the finances of another. These situations occur when a person acts as an attorney for an incapable person's property, when a person is managing the property of a trust, and when a person is an executor of another's estate. With these roles comes a lot of hard work. Liability can attach to attorneys, executors and trustees when things go awry. The task often puts the individual in an unpleasant position of conflict with family members, beneficiaries, or others. In order to remunerate these individuals for the risks and efforts that they have undertaken, attorneys, executors and trustees may claim compensation for their work out of the assets which they administer. For an individual managing the property of an incapable individual under a power of attorney for property, some guidance on compensation is provided by the Substitute Decisions Act, 1992 and its associated regulations. A compensation scheme may be provided for in the power of attorney document itself. If not, the default is 3 per cent of capital and income receipts and 3 per cent of capital and income disbursements, in addition to a care and management fee amounting to 0.6 per cent of the annual average value of the assets. For executors and trustees, there are no statutory percentages but the standard practice is that 2.5 per cent of capital and income receipts and 2.5 per cent of capital and income disbursements may be charged, in addition to a 0.4 per cent care and management fee. The percentages approach does not always provide a fair and reasonable value. The courts may temper the result of the percentages approach with reference to five factors, being the size of the trust, the care and responsibility involved, the time occupied in performing the duties, the skill and ability shown by the executor or trustee, and the degree of success resulting from the administration. The courts may adjust compensation accordingly. Compensation frequently becomes a contentious issue in the administration of an estate or trust or in the management of a person's property under a power of attorney. It is frequently questioned. When family members, beneficiaries, or others are unhappy with the administration, compensation is often the first item on the accounts that is attacked because reducing compensation takes money out of the hands of the trustee, executor or attorney directly. One reason that compensation may be challenged, particularly in familial situations, is that administering the property can be viewed by the challengers as something that should be done for free. Another is that the interested parties may be dissatisfied with the manner of administration generally and challenging compensation provides an avenue to express this dissatisfaction. In some situations, for example where the assets are particularly valuable but are simple to administer, the amount of compensation requested may be disproportionate to the amount of time, effort and skill involved. The best way to avoid disagreement over compensation is communication. A conversation with the interested parties early in the process can nip a compensation fight in the bud. They should be made aware of the difficult nature of the job, and the amount of work that will be involved. Potential challenges are much less likely to arise if a claim for compensation does not come as a surprise. Letting the interested parties know that an attorney, trustee or estate trustee is entitled to be paid something for his or her time and effort will assist them in understanding compensation as fair payment for a job well done, rather than as a cash grab from the assets of an estate or an incapable loved one.